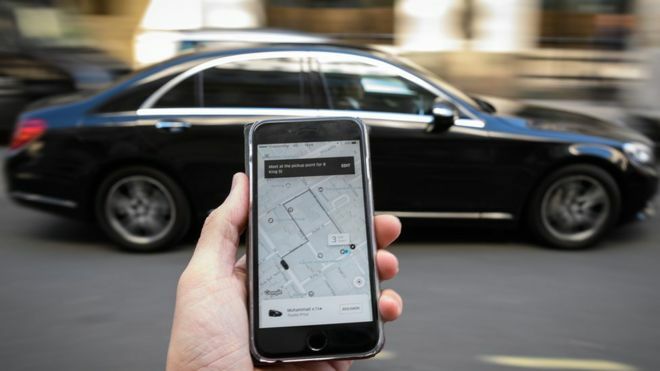 Uber has struck a deal that could lead to a huge investment by a consortium led by Japanese conglomerate Softbank and San Francisco group Dragoneer. The size of the potential investment has not been disclosed, but reports say it could be up to $10bn (£7.6bn). The ride-hailing company said the money would fuel Uber's expansion and investments in technology. But it could transform its corporate structure and see a share listing by 2019, if the deal goes ahead. "We've entered into an agreement with a consortium led by SoftBank and Dragoneer on a potential investment," Uber said. "We believe this agreement is a strong vote of confidence in Uber's long-term potential." If completed, the firm plans to use the funds to expand its business further as it faces increasing competition at home and abroad. As well as boosting its investments in technology, Uber said it would strengthen its corporate governance. That could help bring stability to the world's most valuable start-up after a year of scandals, infighting and the ousting of former chief executive Travis Kalanickin June. Softbank, the Japanese telecommunications and technology giant, declined to comment on the potential investment when contacted by the BBC. However, Softbank chief executive Masayoshi Son said last week that "whether we make an investment in Uber, or not, is not decided yet". He said a deal would depend on "pricing and the terms and conditions" as most of Softbank's investment would be used to buy out shares from current investors. Buying the existing shares would reportedly allow Softbank to take a 14% stake in Uber, while $1bn is said to have been set aside to buy new shares. Mr Son added that while Uber was struggling with "management issues", he believed it was still a "good company". Sources told the BBC it could take up to a month for the investment deal to be wrapped up. SoftBank has not revealed how much of the money to be invested in Uber would come from its technology focused Vision Fund, which has more than $93bn at its disposal. Mr Son is known to have an eye for potentially transformative industries and trends. He was an early investor in Alibaba and owns close to 30% of the Chinese e-commerce giant's shares.